At WorkerBee.TV, we make it easy for companies to use video to enhance their marketing and sales processes. Our video platform integrates seamlessly into your website, offering an engaging video experience, with integrated lead generation and calls to action, giving you the opportunity to deliver impressive marketing results. And, best of all, it can be run with no IT experience. Create, distribute, engage, convert, and measure your video content marketing campaigns with ease. WorkerBee.TV's content marketing video platform easily aligns your video strategy and your business objectives. Video has the ability to spark engagement and conversations all while enhancing your brand. Our content marketing video platform is comprised of three key components: the video platform, combined with the ability to build a content strategy, generates engaging content using video best practices. 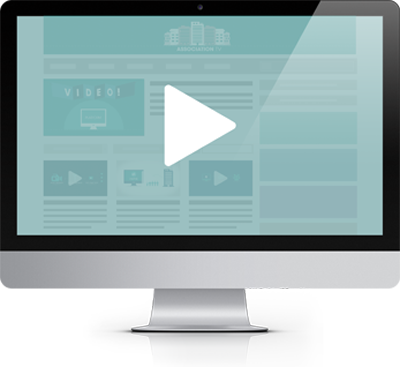 Our responsive video platform integrates seamlessly to your website and brand, enhancing your website and your ability to convert visitors to leads and leads to sales. Create your own videos or use WorkerBee.TV's professional videographers, producers, and editors to create campaigns and inspiring content. Our platform makes it easy for you to follow best practices for SEO, video syndication across websites and social media, viewer engagement, and conversation. And, everything is measurable. Our unique platform, complete with banners to use for conversion paths is customized to fit your brand. From colors, to layout, you choose it all. All your videos are stored on our server, so there will never be a strain on your website, no matter how high your traffic. We offer storyboarding, scripting, filming, and graphics to ensure your videos are professional, informative, and inviting. And we can come to you, shooting in more than 100 locations across North America. Doing a product launch or making an announcement live? We can live stream your event or make videos available on-demand for as long as you want. Our platform has syndication abilities to send your videos via e-newsletter and social media. Once your video is posted, automatically notify your salespeople, dealers, and social media managers. We're engagement experts. We'll help you develop a plan and content calendar too. Expect ongoing support through the entire video creation process right till launch. Brands of all sizes can leveraging the power of WorkerBee.TV's Content Marketing Video Platform. Listen to what our clients are saying about how our Video Content Marketing Platform is enriching their brand, and achieving. "I could not have created 100 videos that I have today without the help of Workerbee.TV. It (Video Platform) makes my life so much easier."